A series of coincidences led to the success of artificial sweeteners – Hermes’ success is based on prudent decisions. 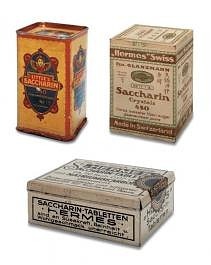 The German chemist Dr. Christian Fahlberg discovers saccharin by accident, marking the beginning of the history of low-calorie sweeteners. The trading company Hermes AG is established in Zurich following the merger of several, predominantly Swiss manufacturers of artificial sweeteners. The company quickly specialises in the manufacture, sale and distribution of saccharin and other sweeteners. With the outbreak of World War I, sugar stocks in Europe are rapidly dwindling and the sweeteners that had previously been condemned by the sugar industry are now very welcome. The sweetener industry experiences a boom and Hermes flourishes. 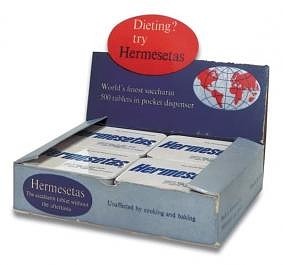 Hermes registers the brand name “Hermesetas” as one of the world’s first sweetener brands. 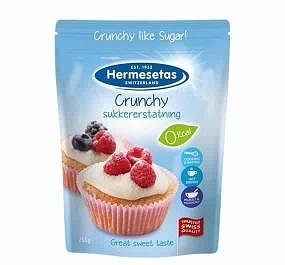 Especially in the UK as well as in Northern and Southern Europe Hermesetas soon becomes one of the most popular sweeteners. 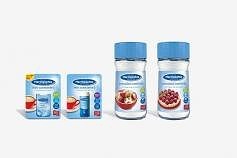 The company introduces the brand “Assugrin”. 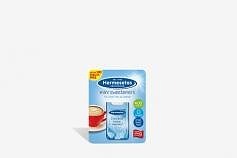 Soon Hermes is producing and distributing both sweetener brands –Hermesetas and Assugrin – in over 100 countries in the form of tablets, granulated powder and liquid sweetener. The company becomes the market leader in many European countries. 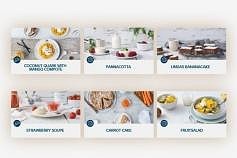 Hermes wants to have its core competency as a specialist in table-top sweeteners reflected in the company’s name. From now on it is known as Hermes Sweeteners Ltd. The German pharmaceutical company Klosterfrau, one of the ten largest European suppliers in the self-medication sector, becomes Hermes Süssstoff AG’s main shareholder. The acquisition has a positive impact on the development of Hermes Süssstoff AG, resulting in a sixfold increase of sales to just under 70 million Swiss francs within the next 30 years. The Swiss production company Sanaro SA in Vouvry (Canton of Valais) takes on the production of Hermes sweeteners. A state-of-the-art production plant is constructed on a 33,000 m2 industrial site in Vouvry. 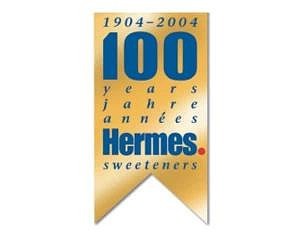 In accordance with the most rigorous international quality standards, about 100 employees produce Hermes’ sweeteners using high-performance, computer-controlled manufacturing and filling facilities. 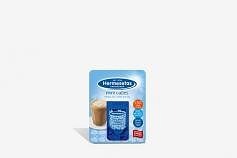 Hermesetas Gold contains a blend of aspartame (200 times sweeter than sugar) and the heat-stable acesulfame K. The sweetener is especially popular because it tastes very much like sugar. Responsibilities within the company are redefined, not least to increase the efficiency of marketing across borders and for specific target groups. 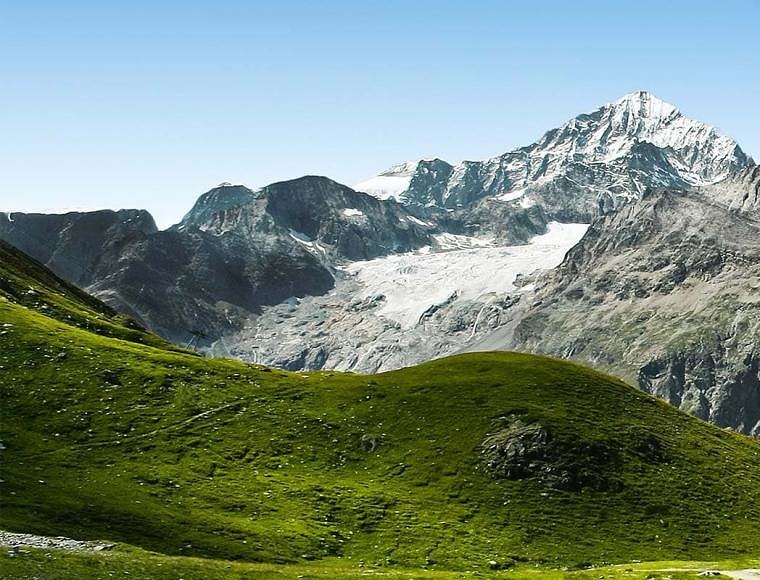 The international hub for sales and the coordination of marketing activities is based in Zurich. The carrier substances used in this product are 100% plant-based and the prebiotic ingredients it contains are beneficial to the intestinal flora. 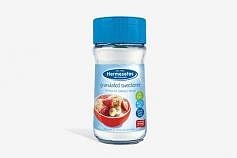 Hermesetas Granulated Sweetener with Fructofibres® therefore has the double advantage of being a practically no-calorie sugar substitute and stimulating metabolism. After its first century, Hermes can look back on a highly successful company history. The determining factors for this success have been consistent quality, a healthy growth, dependability, innovation, as well as a distinct market orientation and customer focus. Everyone is talking about stevia. 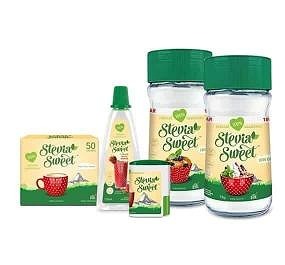 With the launch of SteviaSweet, Hermes is the first producer of sweeteners to introduce a convenient, consumer-friendly product based on plant-derived steviol glycosides. The crunchiness of this calorie-free sweetener is very sugar-like although it is twice as sweet. The product is perfect for cooking and baking, sprinkling on cereals, fruit or desserts. The traditional brand presents itself in a new outfit with modern imagery. The reduced visuals make for a clear-cut, uncomplicated and genuine new look. Hermesetas maintains its brand colour blue.